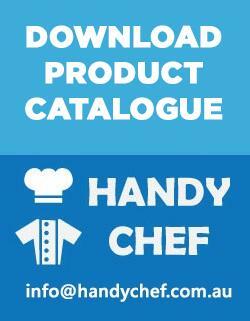 Consumer Guides In Buying Quality chef clothing. 'You are what you wear.' There is a lot of truth to this old saying because it works on two levels: it impacts the person who wears certain clothing, and it impacts the people looking at the wearer. Let me put it this way, if you had a choice between a person in sloppy everyday clothes or a person wearing a professional uniform, who would you hire? Would your decision change if you knew that both people had professional training and many years of experience? The truth is professional appearances matter. It not only makes the observer more willing to hire, it also gives the person wearing the professional uniform a psychological boost. Subconsciously, people wearing a uniform know that they have to live up to a certain professional standard and expectation. 'You are what you wear' applies to a wide range of professionals from military personnel, medical practitioners, plumbers, and yes, professional chefs. 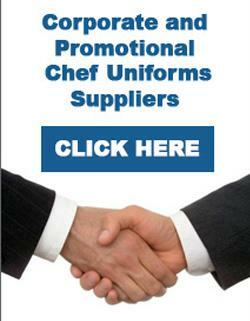 If you want your outfit to convey the right message, consider the following when shopping for chef clothing. Keeping these key questions in mind Handy Chef help you pick out the right chef clothing options. Does it have a professional impact? If you wanted to be treated seriously and respected, your clothing must reflect your own seriousness and the fact that you are deserving of respect. In other words, your chef uniforms must convey professionalism. At the very least, it must provide the right fit. Nothing erodes respect more than sloppy-looking clothing that sag and slip in the wrong places. Your attire must also be made of the right materials. Not all cloth materials for chef clothing are created equal-some materials tend to retain and soak up kitchen stains while others do a good job of fighting off stains. Make no mistake about it, every little stain or 'off' color on your chef's uniform goes a long way in making diners and customers lose respect for you. Pick chef outfits made from stain-fighting materials since your attire's cleanliness signals the level of your attention to details. Like it or not, your clothing's cleanliness implies how precise and disciplined you are. Does it protect you from kitchen dangers? 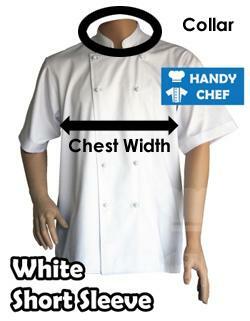 Besides looking good and conveying a high degree of professionalism, the right chef clothing is also practical. You are wearing special kitchen attire to protect your normal clothes from some common kitchen dangers like spills, splatter, chunks of ingredients that fly off during the chopping process, and pointy edges of kitchen utensils that slip away during food preparation, among others. Choose chef clothing that does a good job padding your clothes so whatever stains and debris get on your outer clothing don't get on your inner clothing. Make sure the material is thick enough to provide some protection but not so thick as to hamper your ability to handle knives and other cooking utensils. Does it boost kitchen hygiene? Not all chef clothing materials handle liquids the same way. Some soak up liquid while others produce beading, which helps you wipe away the wet spot before it turns into a stain. Stains are very unhygienic since they can host food-borne bacteria. Talk about bad kitchen hygiene! As I've mentioned above, if your chef clothing develops stains or 'off' coloring, this makes you look less professional. You are what you wear. If you want to reflect your professional ambition-dress like a professional you want to be treated like someone who is passionate about his or her craft-dress like it. Keep the considerations above in mind when picking out quality Chef clothing so you can make the right choice.